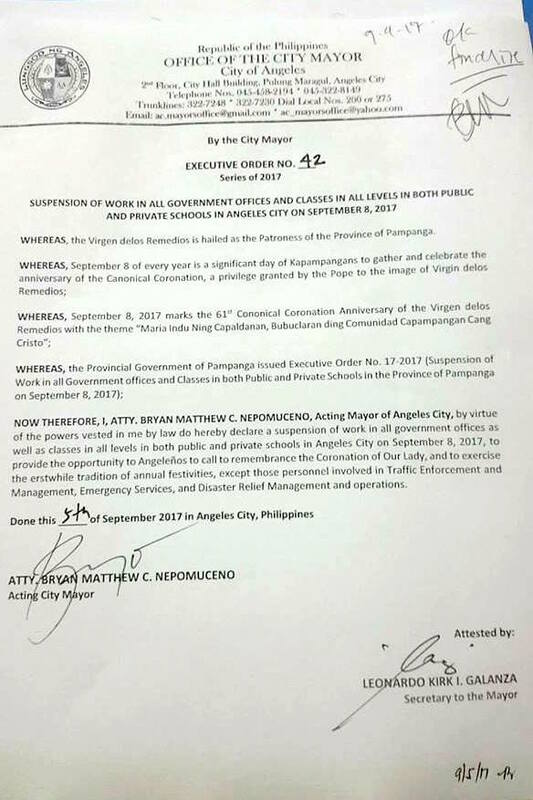 Due to the Mayor of Angeles City declaring that all schools both private and public to close of Friday September 8, 2017, Noblesse International School will be closed. However, we are requiring all grade 9, 10,11 and 12th grade students to attend the scheduled University fair here at the school from 2:00 pm to 3:30 pm. If you child rides school service the buses will be picking your children up. Ms. Lea will send all parents currently using school service the pick up times. Thank you for your understanding, however this closure is not coming from the school but from city government.